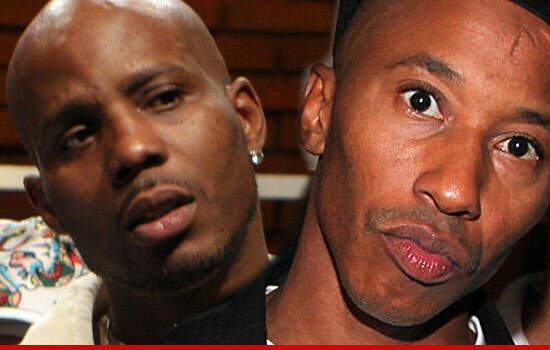 DMX is returning fire in his war with Onyx rapper Fredro Starr -- telling TMZ, he ain't one bit afraid of the guy's death threats ... claiming, Starr's "a midget" who "can't even reach my knee." In case you don't know, DMX is responding to a video Starr posted on YouTube, in which Starr freestyles, "This n***a X talking sh*t right now, If he ever try it again/He be in front of the firing pen/If his crew front, there be a lot of dying men/At the funeral, family and crying friends." X is blowing off the drama ... claiming Starr "is just trying to use me to get back in the music scene."